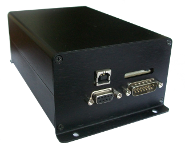 Welcome to James Murray Engineering Ltd, suppliers of Megasquirt ECUs to the UK. Megasquirt is a range of aftermarket engine management systems. Having originated in the early 2000s as a D.I.Y. project, Megasquirt has evolved far beyond that and is capable of running complex engines with full sequential fuel and spark, variable valve timing, boost control and a host of race features. At James Murray Engineering, the focus is on the higher end products or custom built traditional Megasquirts. 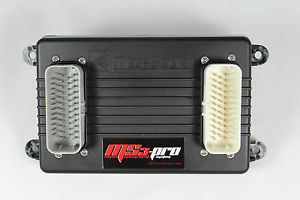 MS3-Pro – the full featured Megasquirt-3 based ECU is here in the UK ready to purchase. Full retail box includes 2.4m pigtail wiring looms. Starting at £910 inc. VAT. Microsquirt – the entry compact Megasquirt-2 based ECU. Great for a car or bike that needs fuel and spark control with a reduced featureset. Supplied with 76cm pigtail wiring loom. Megasquirt-3 – top of the traditional Megasquirt range. Sequential fuel and spark up to 8 cylinders and many race features as standard. Fitted with 2.5 bar MAP sensor. Supplied with 2.4m pigtail wiring looms. Starting at £650 inc. VAT. For more details of the Megasquirt product range please visit the official UK Megasquirt website.